Light, bright and filigree like the nature of light itself is how the Akari lamps by designer and artist Isamu Noguchi are. For his Akari collection he created more than 100 lamps that spread peace and lightness in every room. The collection of the Akari lamps includes several table, floor and ceiling lamps besides the famous variant of the round pendant lamp. The lamps have different forms, sometimes they are simple, and sometimes experimental. They also have one thing in common: They are all manufactured of fine shoji paper. Through the white, robust paper, the light is damped, soft and spread uniformly. The name was chosen accordingly to Isamu Noguchi's idea: Akari is the Japanese word for brightness and light, and also includes airiness. More than 100 Akari lamps were designed by Isamu Noguchi since 1951. The origin to his lamps was a trip to Japan. In the small fishing village Gifu Noguchi observed fishermen at their work. They didn’t only use their trained cormorants for their hunts, but also lanterns to attract the fishes. These lanterns possessed bamboo ribs that were coated with fine paper. In these traditional Japanese lanterns, Isamu Noguchi found inspiration for his own light sculptures. Wood and paper were the ideal materials for the designer to emphasize the sensitivity and lightness of light. Noguchi used the mulberry tree paper for his Akari lamps because that material spreads the light the best. If you're interested in one of Isamu Noguchi's lamps or have any questions about the Akari lamp series, feel free to contact our support. 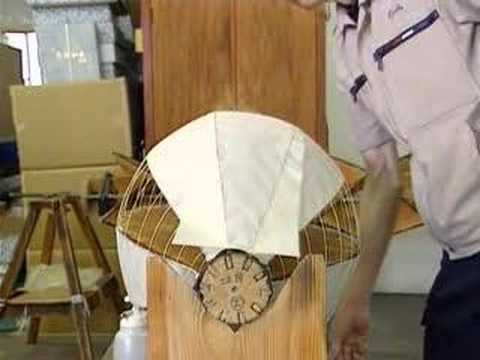 The video shows the production of the unique lamp shade in every detail. For his collection the designer Isamu Noguchi created more than 100 light sculptures that spread soft peacefulness and magic airiness.